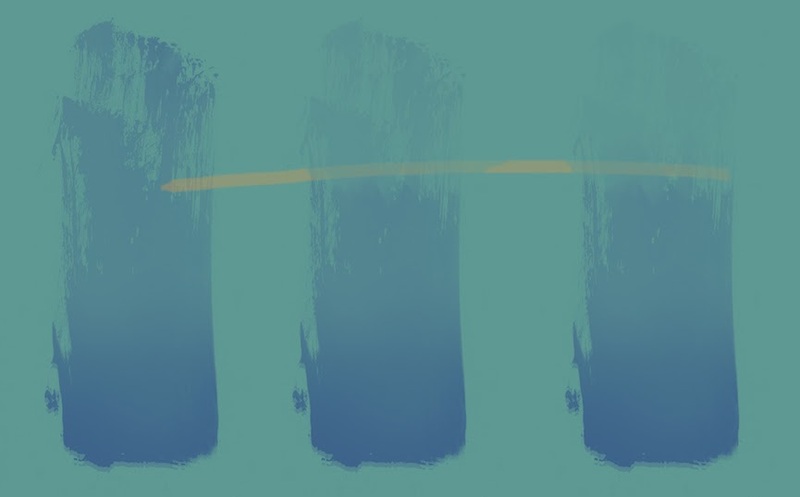 Tuesday brings last week's tutorial voting decision and the big amount of 41 votes went for the choice of "blue". 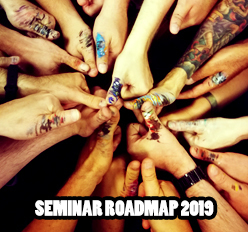 Massive Voodoo's year of the painter is proud to bring you your choice, an interesting article prepared and written by Roman and we are sure that you will have some fun repeating this at home. It's easy to repeat, it's quick, but you have to read properly to understand the thoughts and progress behind it. Usually I am working on several projects at once. Big long time projects, small fun ones, but sometimes I am really in need of doing something different. Something really quick, packed with fun. The following article explains what I did, why I did it and how I did it, in theory and practical examples. 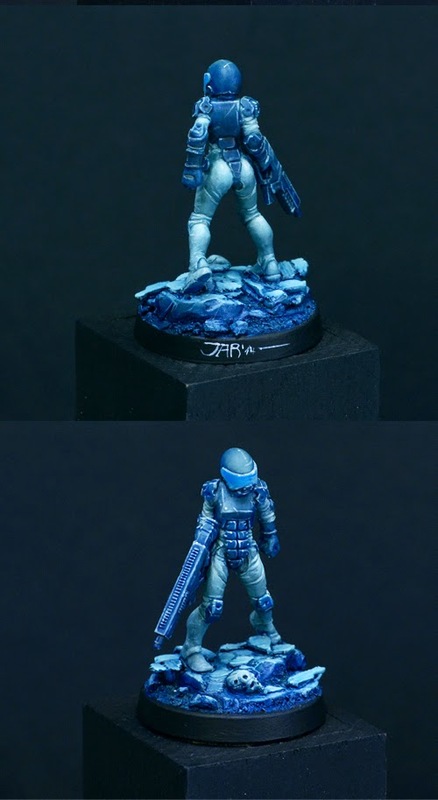 I was planning to push this figure - Corporal Thoran by Hasslefree - from start to end in about two hours of straigh working time by using only five different colours. I was not in the mood to do a compley base this time. I just wanted to have a quick one. Using BeeSPutty Plastic for some "sculpting-work" of this base. Even the white metal fillet beneath the model was not removed, it was hidden inside the putty. I did the start on top of a wooden work-plinth and baked it for twenty minutes at 90° in the oven. I was not counting the twenty minutes waiting time into my two hour straight working time schedule. 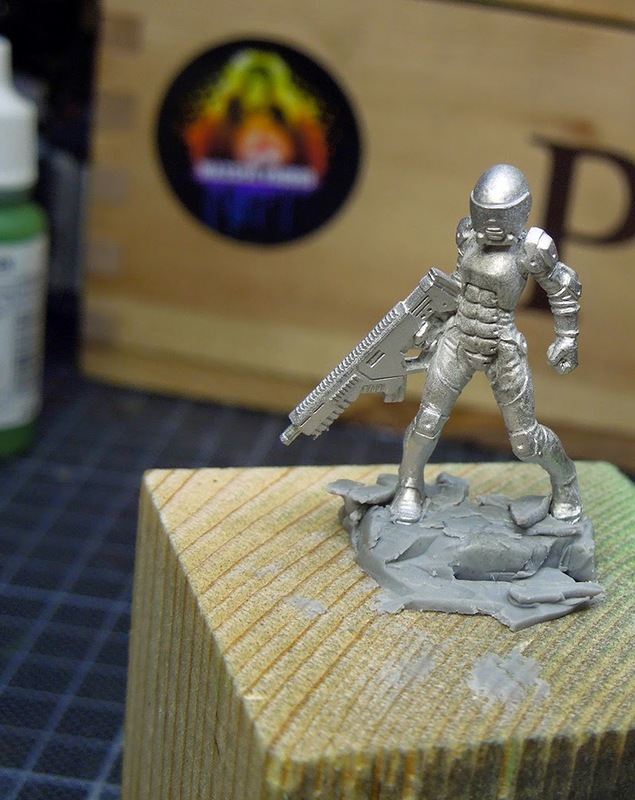 Remember: Only do this with metal minis, no plastic or resin ones. 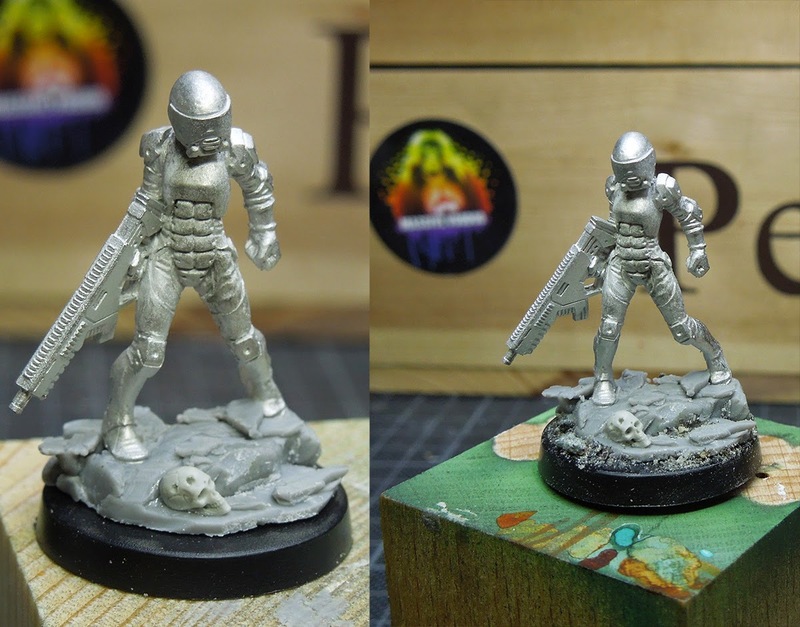 I am really in love with the 28 mm skulls by Origin-Art, which are really working great with that scale. Placing one at the base to add a little detail. Now I took a blade and carefully removed my base from the wooden plinth. Glued it to a gaming base and added some rough sand to it. Basework done. 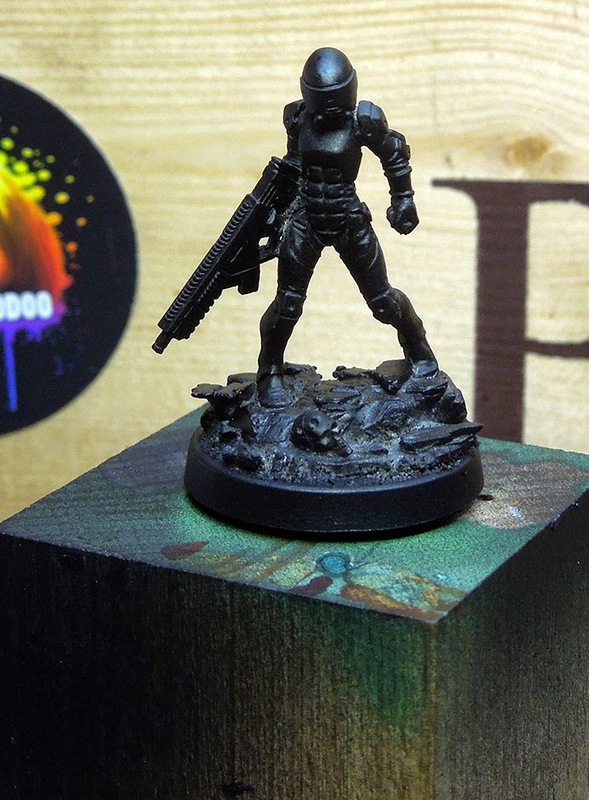 Priming the model black with Games Workshop black primer was next. Lately I do enjoy to use a hair-blower strictly after the priming work as it a) dries the primer faster and b) the heat leaves the black dry more matt. I always try to avoid priming too much out of the can and had to use a brush with black colour on it afterwards to reach every spot on the model properly. Now to colours, five of them in the end. I choose to go with cold colours on this project. 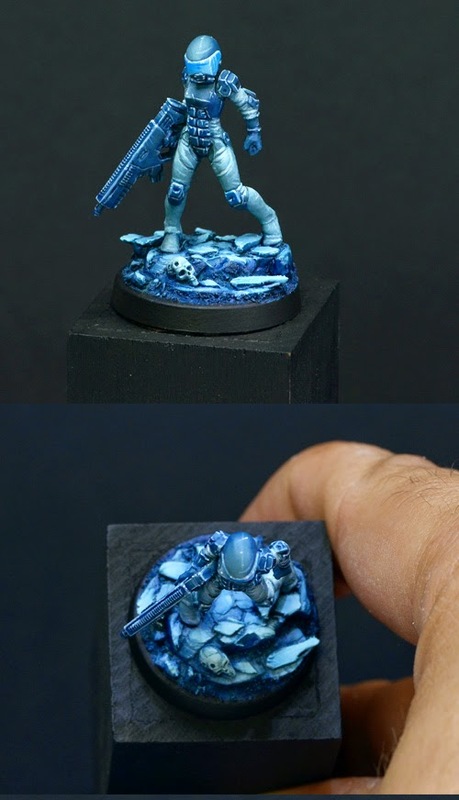 I want to create an icecold athmosphere, using only cold colours to create it and went for a blue basetone with VMC Dark Blue Grey. You can do this with every other colour you choose as a basetone, for example, green, orange, brown, red, yellow, tourquois and more. Your choice. 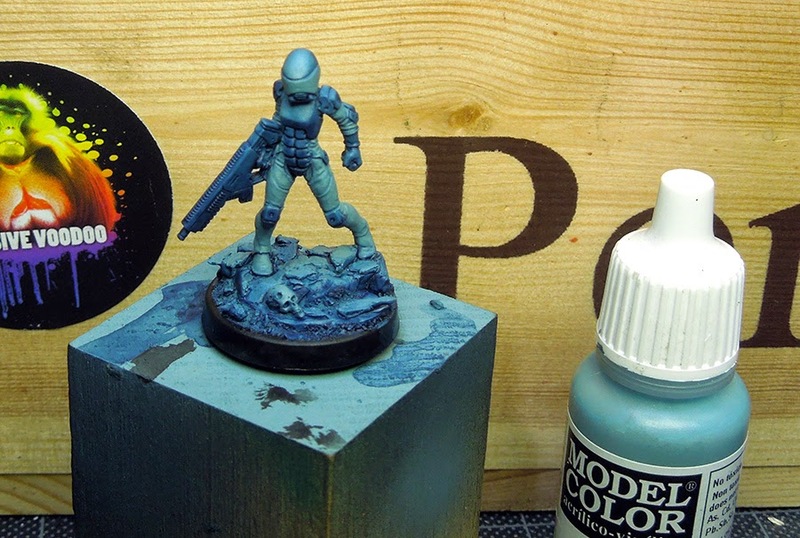 I went for an opaque basetone of Dark Blue Grey on the whole model and base via the airbrush. Colour One. After this basetone was applied I decided to go a little brighter and do a little highlight to the model by using my initial basetone but adding a brighter cold coloru in it. 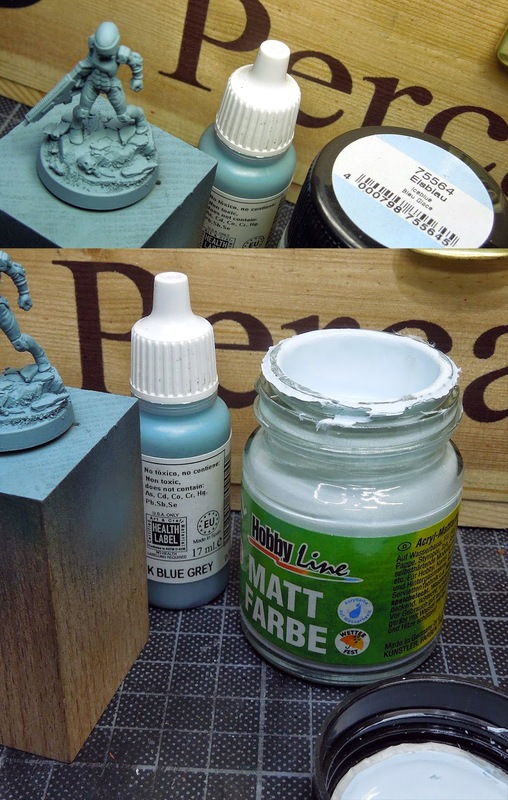 This time a matt colour called "Eisblau/Iceblue" by Hobby Line. Spraying this mainly from in a zenithal direction at the model already gives me a good impression for its light situation. Colour two comes into play now. Now its time to have fun. I do enjoy working with Army Painters Ink as they dry out very matt and are really cool to use when you want to achieve some quick contrast in a model. 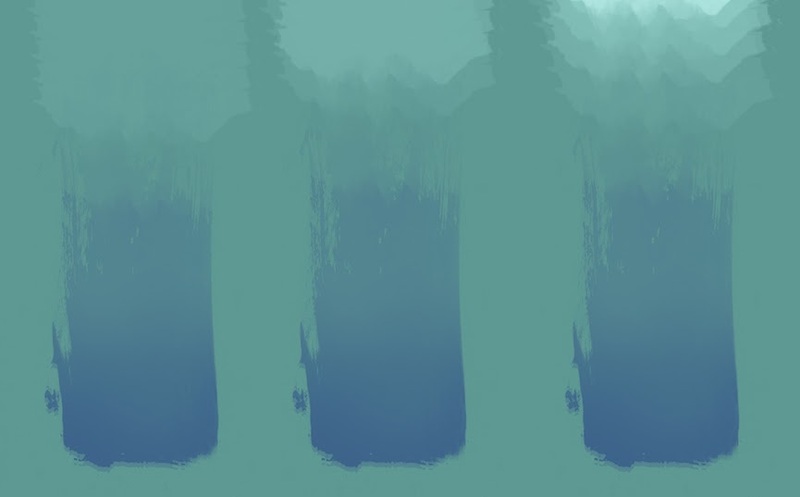 As I was going cold with my overall athmosphere I did choose the blue tone this time. Colour three is playing with us now. 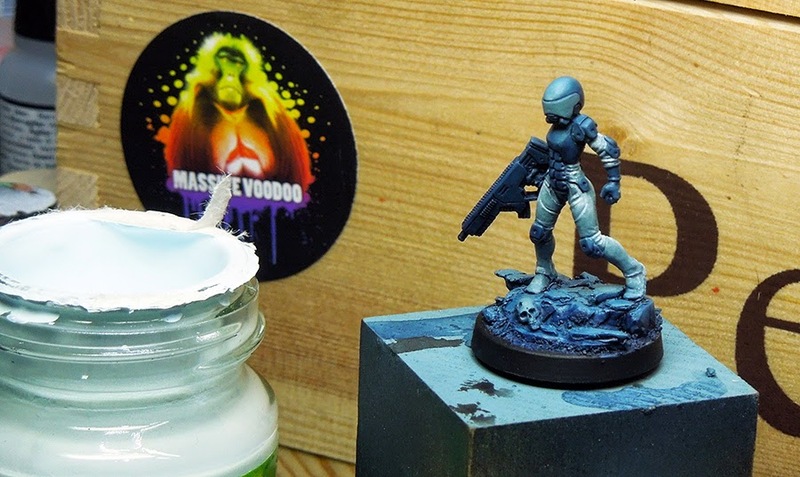 Left: Gentle approach on the armour parts, using some of the blue for the embossed areas of the armour. Middle: I want that base blue too! Now where is the brush to move it all around? Now to some theory about using that wash. In fact I used that wash as a glaze. 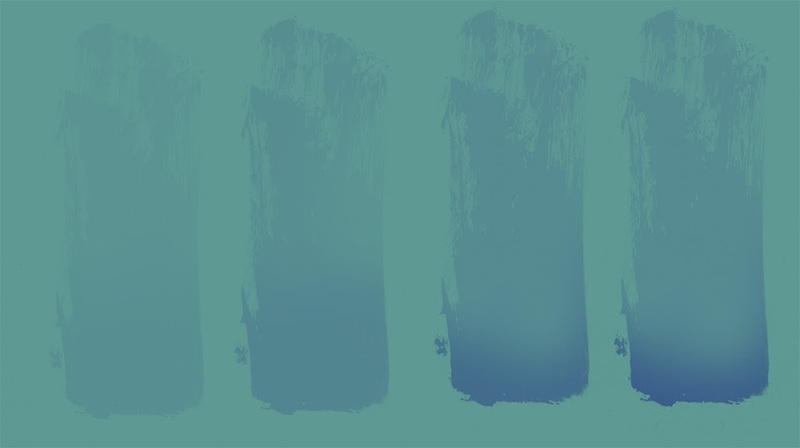 Important is that you apply your glaze/wash in several repeating steps to achieve opacity with it. Let those steps dry in between. Important is that you also decide to move your brush in one direction when applying the glaze/wash to recieve a cleaner surface as a result. Important is to know what you are applying at the moment. With the wash we do shadow contrast so I will force myself to pull the brush only in one direction. The one where I want the result of my glaze to be strongest after the repeating steps. Don't do it random-brush-dance-style. Still there will be some small mistakes in the factor of tidiness if you want to do a paintjob in about two hours, these will become minor if you train your brushwork by painting, but if it goes quick like this paintjob they still occour. There is a healthy trick now. 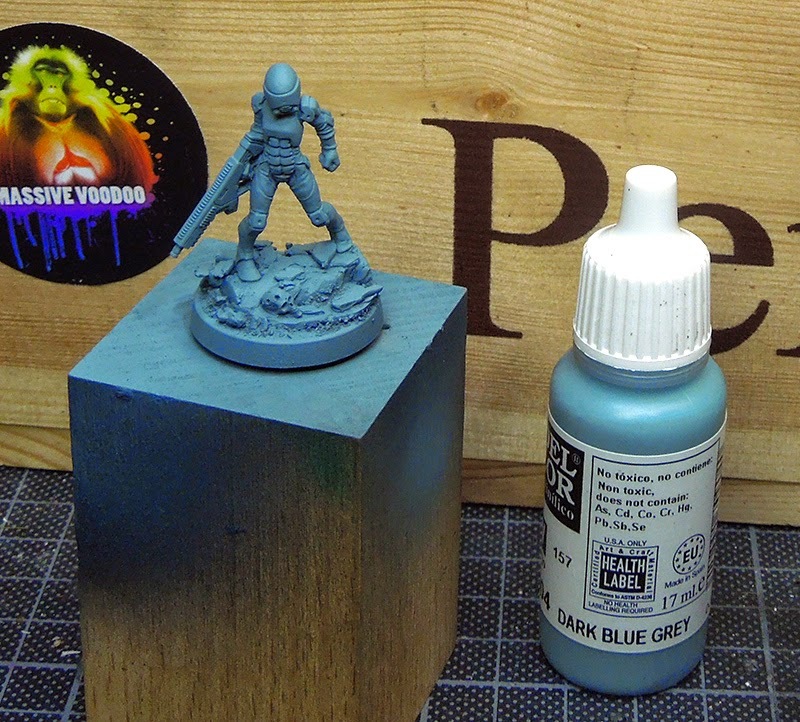 Going back to your basetone - in my case VMC Dark Blue Grey and using this one as glazes to smoothen those mistakes. I did bring it back to to the base, skull, the armour and the fabric areas. Still only three colours used so far - wait - I am a liar, I used black for the edges of the base in this step. So four colours I used so far. The process of smoothing looks like this in theory, again using glazes of my basetone but right now placing it in the area I want to clean up and pulling it to the area I want that basetone back. Next step is to focus on increasing the contrast. I used some of the blue wash and added a drop of black to it. Glazed this into the deepest shadows of the blue armour/weapon parts. Getting smaller and smaller in the areas I where the shadows are strongest. Where do they get strongest you might ask? Check for some zenithal light theory or light/shadow theory. 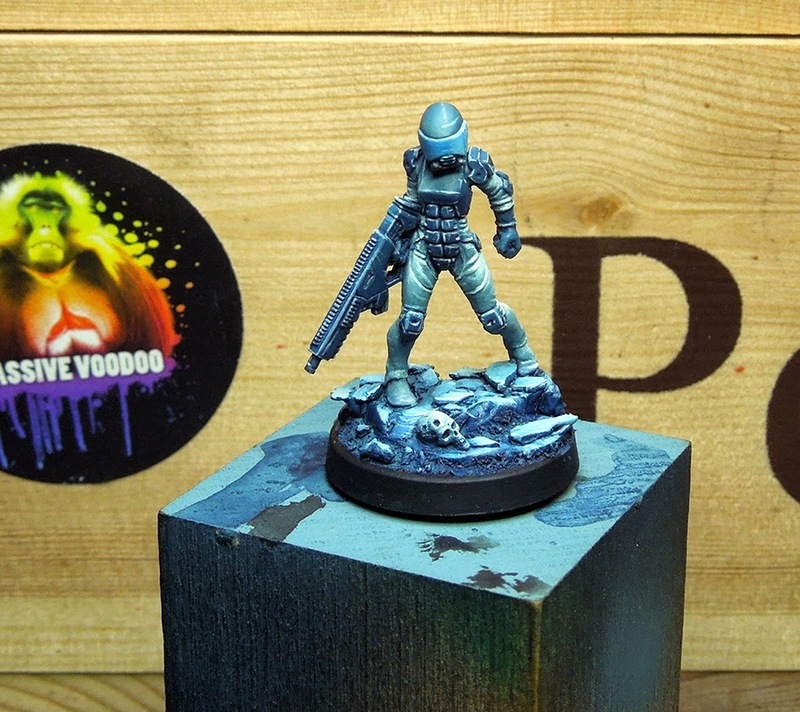 I used the bright Iceblue colour again and mixed it into my dark sea blue in about two to three steps to paint the models fabric areas to its highlights. Remember your brush moves, no random style here either. Put it where you want it and let it dry. Then repeat. Don't forget to repeat your glazes as with it they gain in power and intensity. The progress of highlighting still works the same. Glazes, put where I want them, but getting smaller and smaller while the brightness increases. 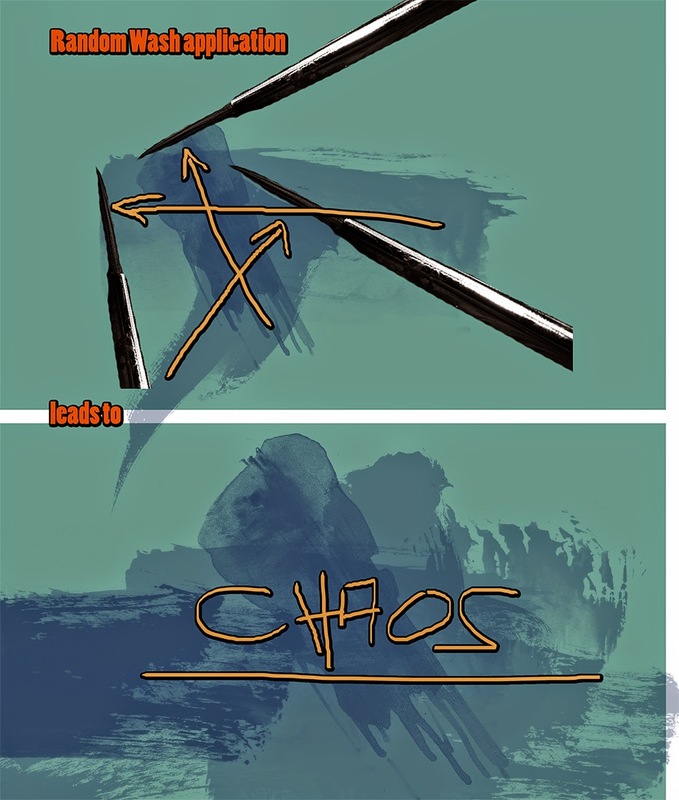 If rough edges appear, let them dry and clean them with the tone you used before, just pulling it over the "mistake", to the direction it that tone is located. It is good to keep your tones you are using on your wetpalette, so you can always head back and use them in case of emergency. Next step for me now was exactly cleaning up the in between tiny "mistakes" and working on edge highlights everywhere with just using the Ice Blue for it. I mean it is not perfect as I was still looking at the clock to manage this fun paintjob in two hours. I started to use some blue wash again on the visor to bring it out more intense blue in the end. I was missing the fifth colour in the end and while I wrote my signature to the base with VMC Ivory I decided to add some final, tiny edge highlights with it here and there. Five colours, two hours, one miniature. In the end I was pretty happy with the result of this fun miniature. I really wanted to go quick on it and enjoyed the progress and the result. I hope my thoughts on this case might help or inspire you. This is a fantastic article. Great photos and description illustrating the process and technique brilliantly! And it's also a very great idea to give every member the chance to say something about there selve. Transparance is the best you can do. Thanks my friend for all you did for the people who love this hobby like you do. Amazing. I love the tutorial, thank you so much. It is so well explained, and the references to other tutorials are very helpful. Love what you can do with a limited palette, I need to try this. Thanks! 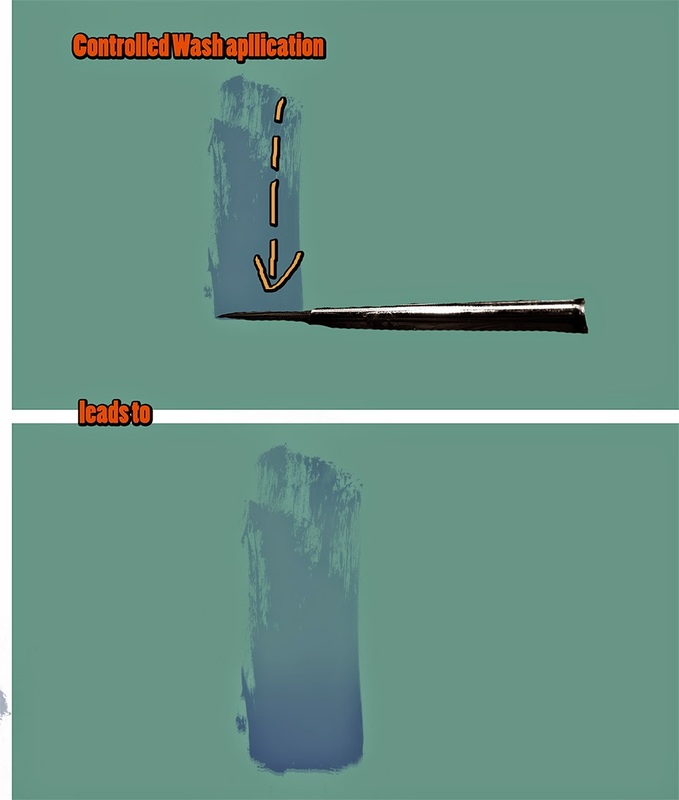 Best part for me as beginner painter is the section about brush strokes. For us beginners, maybe next time some info about how much you thinned down the paints, maybe a photo of your palette to see consistency? Thanks for your response. I am happy that the time invested in the article is playing out to be helpful! You are welcome, I am thankful to your feedback as this keeps me writing and thinking about future articles. Don't fear them ... they won't hurt you, trying such will just widen your perspective and making your knowledge of paint, contrast and light grow. My pleasure, thank you for your feedback, Michael! 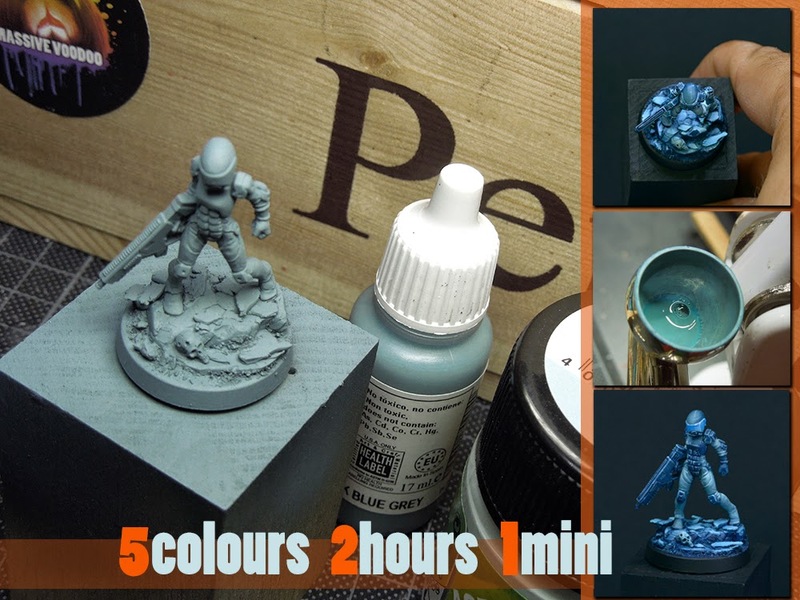 Have a go, limited palettes are fun and if you don't set yourself under too much pressure in the quality of the result, fun will be your guide through the model. Short question, i tried to find Origin-Art for those skulls etc., but couldn't find them via my Google-Fu. Any chance you could give me a hint, or even better a link? That helped for me as I also did not find a store. The answer took a little while but I recieved the skulls I have ordered in an acceptable time frame.